White Superled suited for lighting system Duo Petzl. Replaces the emergency bulb. Power supply: alkaline cell or rechargeable Ni-Mh. Autonomy: 12 hours at 100 Lumen + 24 hours decreasing from 100 to 5 Lumen + more than 48 hours of emergency with 0,5 Lumen light. No magnetic interference to the compass during surveys. 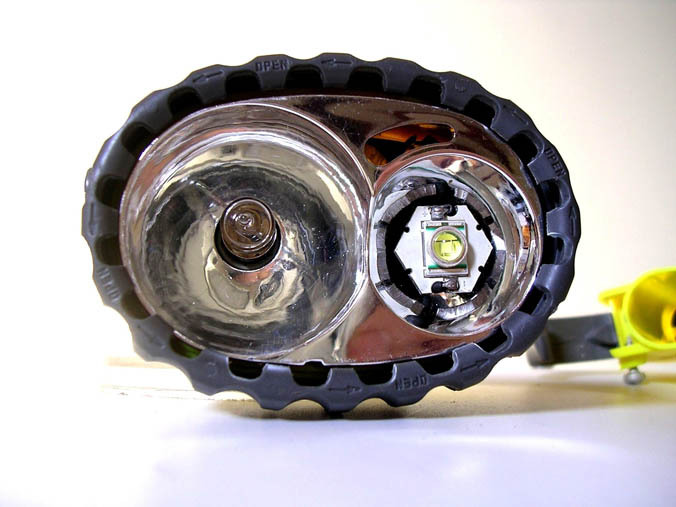 White Superled with integrated micro-optics suited for lighting system Duo Petzl. Replaces alogen bulb. Depth light intended to work with the diffused light superled as a Full-Superled lighting system. 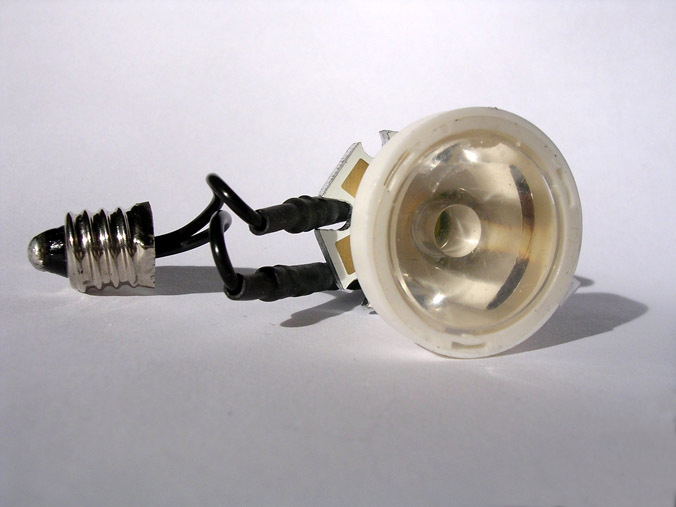 Mounting: after removing the alogen bulb, the cable with special lamp-plug has to be connected into the alogen bulb hole. The microzoom is then simply placed on the base of Duo Petzl without mounting accessories. The reflector is no longer to be used. Light beam: 10 degrees until 100 metres depth. Power supply: Alkaline cells (AA) or rechargeable Ni-Mh. Autonomy: 4 hours at 5000 Candles and 72 hours decreasing from 5000 to 0 Candles. 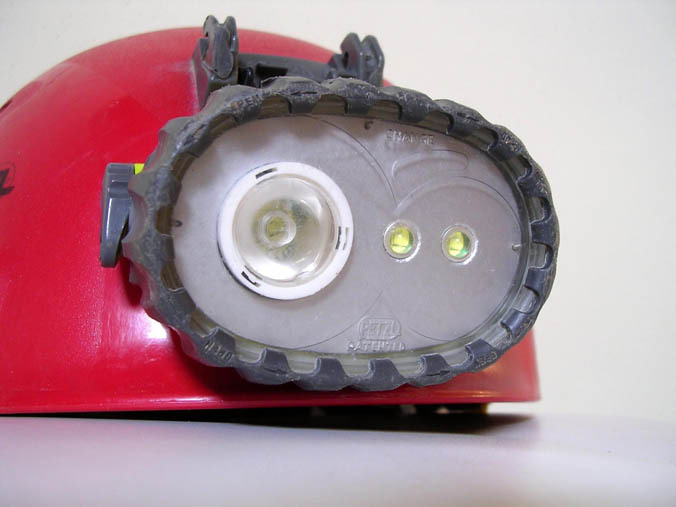 White Superled suited for lighting system Laser Petzl. Replaces normal lamp. 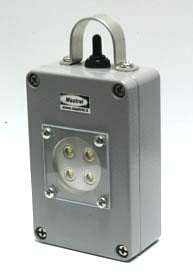 Power supply: Alkaline cells or rechargeable Ni-Mh. This module can substitute the couple Superled for Duo + Micro-Zoom for Duo. Superled-SE has the same baseplate and the same LED's of Superled-3 modules family. The progression light has 1 light level at 120 lumen without SW electronics. The result is a lower cost module that still remains powerful with a very nice look. -Single level double-led progression light at 120 Lumen 100° wide. -Autonomy: 10 hours at 120 Lumens + 72 hours decreased from 120 to 0 Lumen (AA alkaline batteries). -Micro-Zoom: focused light beam 10° with 5000 candles of a light intensity. -Autonomy: 4 hours at 5000 Candles (AA alkaline batteries). -The system can be powered with alkaline or rechargeable Ni-Mh batteries. -It does not interfere with the compass during surveys. - Superled HSE with hybrid (4500°K) progression light of 120 Lumens and 9 hours autonomy. - Superled WSE with warm white (3000°K) progression light of 120 Lumens and 8 hours autonomy. 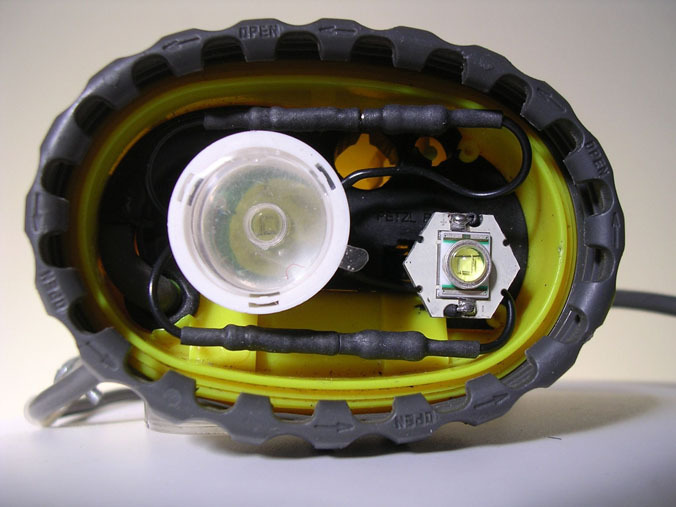 The Superled-3 SW assembly for Duo Petzl is intended to be used as main light. Its light is as intense and diffused as that one of acetylene! 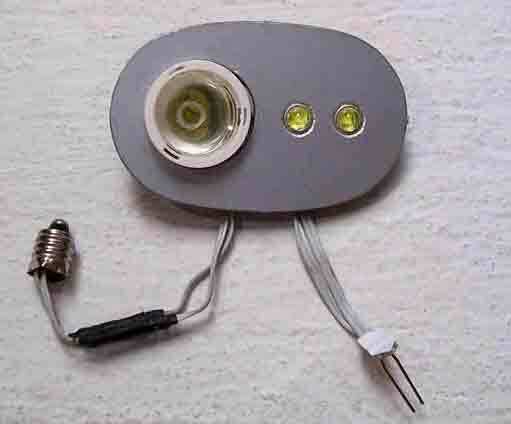 A special plate mounted in place of reflector contains Micro-zoom as depth light and 2 Superleds as diffused light for progression. The new switching regulator is simple and reliable. 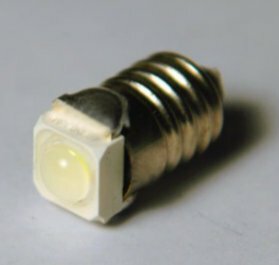 Superleds for progression, working in couple, optimize the electrical efficency. A set of 4 rechergeable NiMh - 2500 mAh batteries will now give us at least 12 hours of 120 Lumen light! If we dont' change batteries we will continue for other 18 hours with a decreasing light from 120 to 0 Lumen. No more batteries? You have other 48 hours of 0,5 Lumen light from microzoom! Micro-zoom provides a depth light of 5000 Candles with 10° light beam. 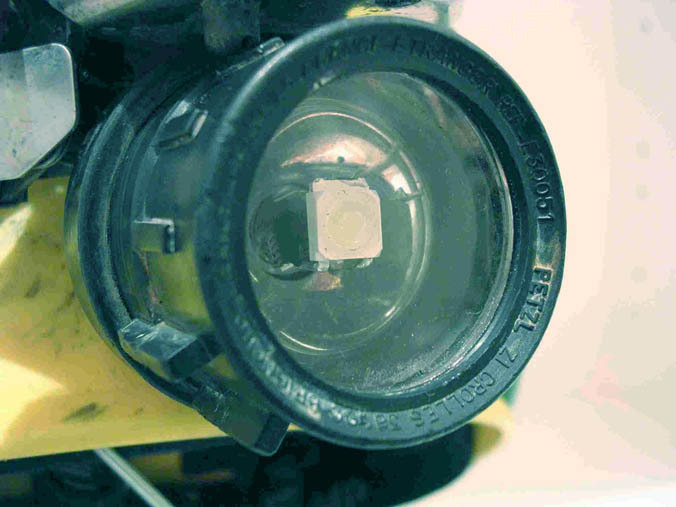 Mounting: simply remove reflector and insert special connectors in place of lamps. This model has the same caracteristics of "SW" with, in addition, 4 luminous levels for progression light. Levels can be changed turning on - off progression light within 2 seconds. The Mastrel-Test can be done at every time without taking off the helmet and is optimized for alkaline cells. It consists in a sequence of luminous pulses varing from 0 to 10 depending to the state of batteries. I.e. : 10 pulses indicates 100% fully charged batteries, 6 pulses indicates 60% charge, 1 pulse 10% charge. 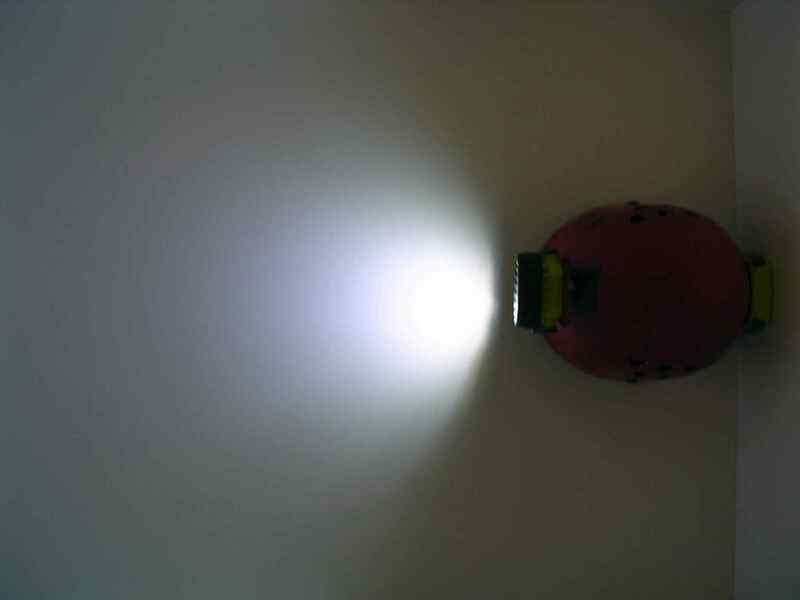 It is recommended for testing at home illumination efficency before caving. - Turn on progression lights at Level 1 - Progression1 (120 Lumen) for at least 3 minutes before starting test. This is necessary for eliminating initial overvoltage that would give a wrong test (otherwise all batteries seem to be ok). - Switch to level T (Mastrel-Test). - If batteries are full charged the test should give at least 9 pulses for alkaline cells and 7 pulses for rechargeable Ni-Mh cells. In this model has been added new Progression2 level that provides 40 Lumen for anti-dazzle and smaller caves. Micro-zoom with 10° light beam and 5000 Candles intensity. This model has only 2 basic progression levels and battery test. All Superled-3 family models are available in WSW (warm-white) version that gives a kind of light identical to the acetylene one. Warm-white Superled requires some more electrical power and must be considered about 20% reduction of autonomy. I.e. : Progression1 level medium autonomy will be 10 hours instead of 12. Also availeable the hybrid Superled-3 HSW module. The hybrid light (4500° K) is a compromise from cold and warm lights but keeps the main advantages of both. Medium autonomy (progression level 1) is about 11 hours. Available now a four superled Ultra Compact Illluminator. It is used specifically for cave filming and photography. The reduced size and ease of use make it a versatile tool for every kind of cave. The sturdy aluminium body has only 65x100x35 mm dimensions and 200 gr weight. It requires 4 AA Ni-Mh cells that can be easily replaced opening the lateral vane. Autonomy is about 1 hour. The luminous power is 600 Lumen with color temperature from 5500 to 6000 °K. Light beam amplitutde is about 100°. The upper ring has the double function of securing illuminator and protecting electrical switch. Provided with 1/4" W hole for tripod and other photographic devices. Can be used in freshwather up to 2 meters deep i.e. to photograph underwater concretions. The battery vane is not watherproof. To avoid formation of oxide during storage, remove batteries and dry well the battery vane. Recommended the use of white vaseline to protect battery contacts from oxide. For more than 2 meters deep and muddy caves a sealed trasparent bag is required. With this protection the illuminator will be free from any mainteinance and cleaning. Recommended the use of Ni-Mh AA batteries for maximum autonomy and light performance. 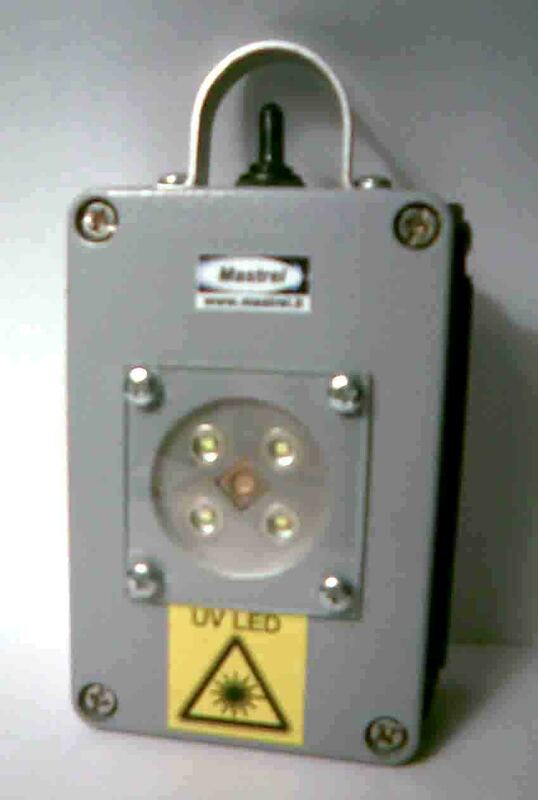 The Depth Illuminator has the same electrical and mechanical caracteristics of the ultracompact illuminator. The difference is an optical set that converts the light in an extremely bright beam with 10° angle and 20000 candles of luminous intensity. Very useful for filming and photgraphy in big caves and also for illuminating remote details during exploration. For maximum autonomy and light performance use only Ni-Mh AA batteries. Dual Illuminator has Ultracompact Illuminator + Depth Illuminator optics in the same case. Dimensions and weight remain the same of previous models (65x100x35 mm and 200 gr). The luminous power of diffused light is 600 Lumen with beam amplitutde of about 100°. 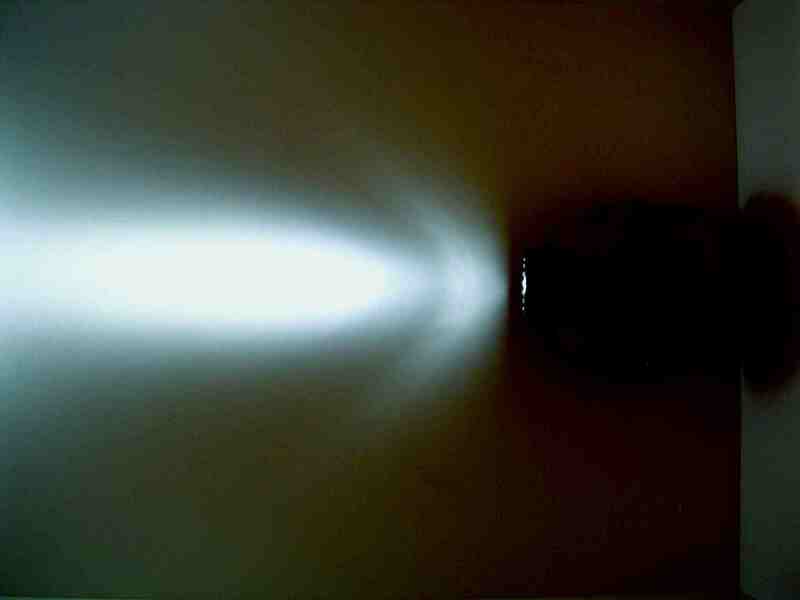 The depth light is 20000 Candles with beam amplitutde of 10°. An unique three-position switch (light 1 - off - light 2) selects the type of light more suitable. 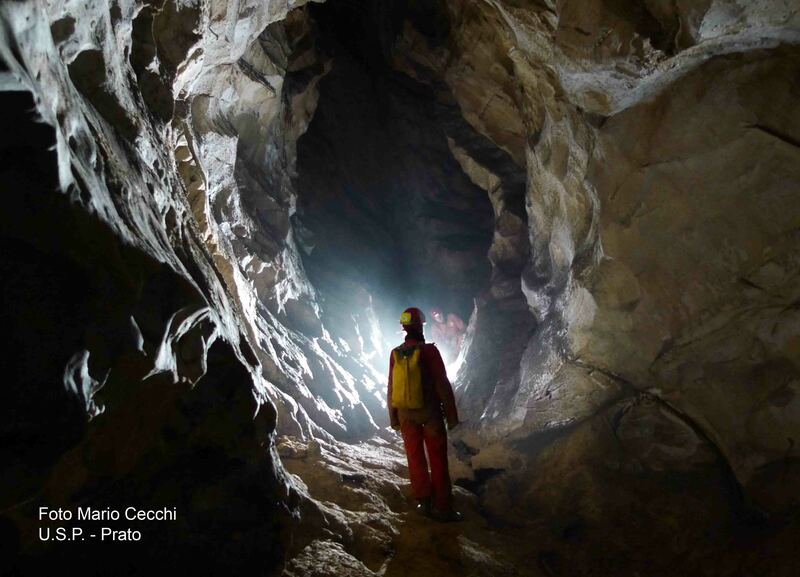 Recommended for many caving activities like exploring, filming and photografy but also for general outdoors. For maximum autonomy and light performance use only Ni-Mh AA batteries. 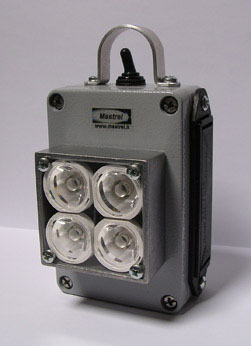 In this model of Ultra Compact Illuminator has been added a special UV led emitter. This new emitter, the most efficient and innovative on the market, produces a very pure UV light and find its main applications in making fluorescent some minerals and organics. - Luminous power 200 mW. - Kind of light: UV-A 365 nm wavelenght. The four white superled maintain the same optical characteristics of standard illuminator (600 Lumen - 100° beam). A tree position switch is used to change from UV light to white light (UV light - Off - White light). This new Ultra Compact Illuminator is furnished with a 10 Ah Li-Ion battery pack. 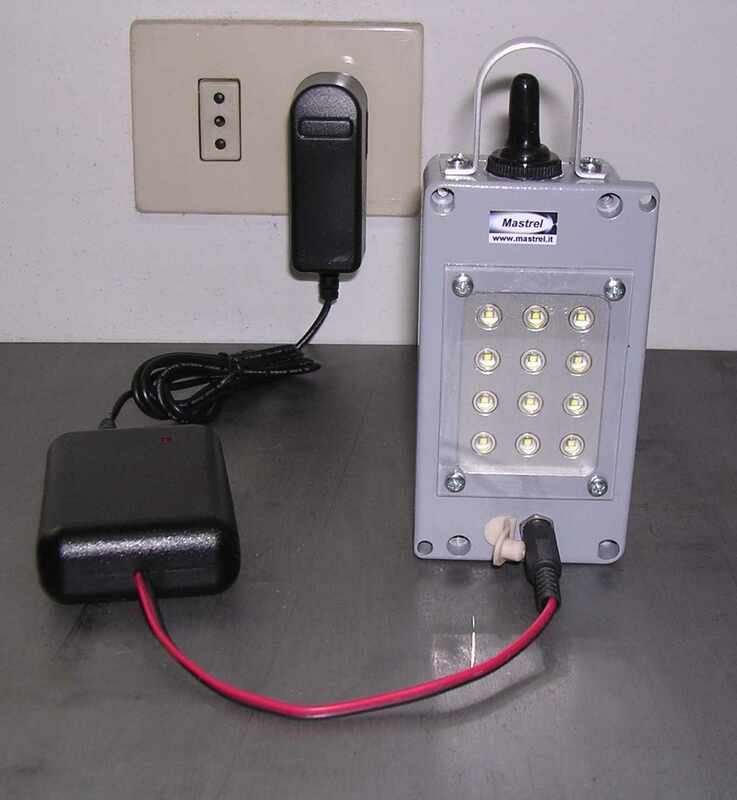 The battery pack remains closed inside and The battery pack remains closed inside and can be recharged using a special protected slot on the body of illuminator. For diving purposes a clear sealed plastic bag is recommended. Included a dual level switch that reduces the power light from 800 to 300 Lumen. The 300 Lumen level can be useful for macros and as emergency light. Max luminous power: 800 Lumen. Color temperature: from 5500 to 6000 °K. Autonomy: 7 hours at 300 Lumen and 3 hours at 800 Lumen. Number of recharges: more than 500. 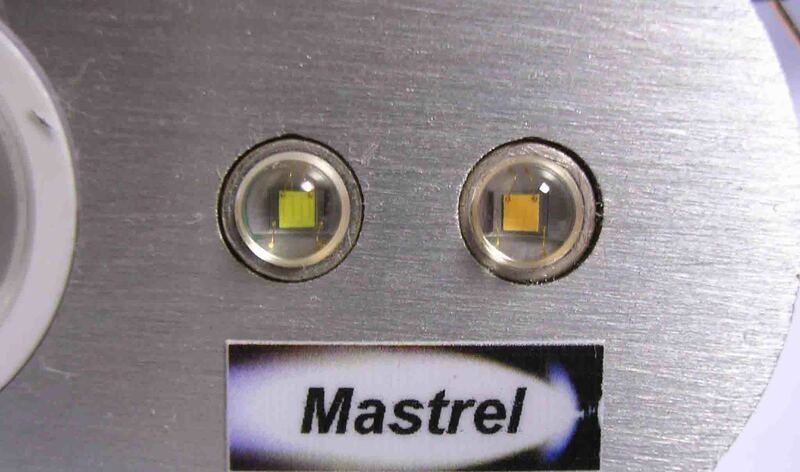 The new Maxi Illuminator is actually the top of Mastrel illuminators family. A 12 Superled matrix provides a diffused light of 2500 Lumens that means the same light of 3 normal ultracompact illuminators! It is intended for use in big caves but the 2 level switch can reduce the light to 600 Lumens for smaller environments and emergency light. This illuminator is furnished with a 10 Ah Li-Ion battery pack. 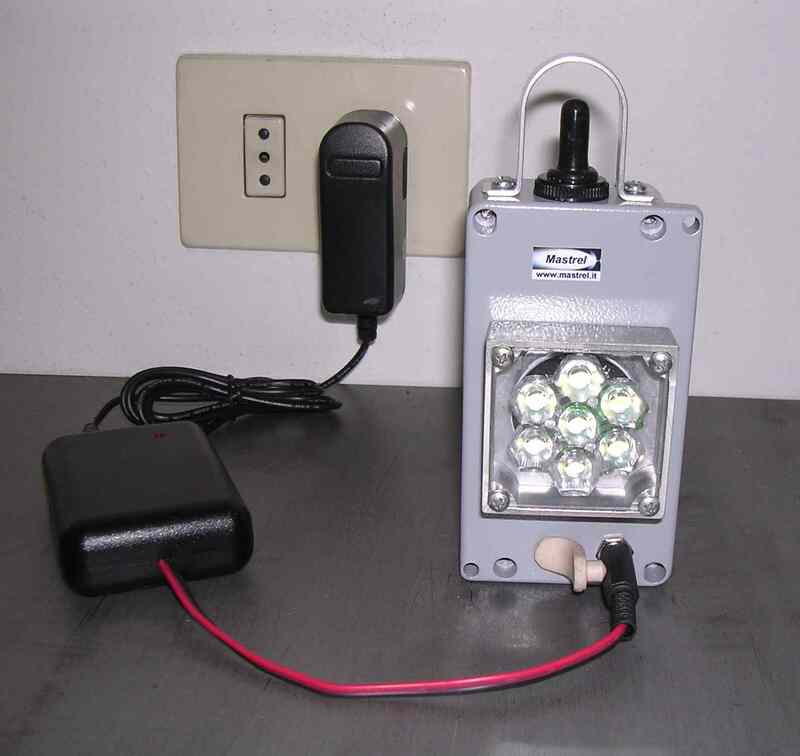 The battery pack remains closed inside and can be recharged using a special protected slot on the body of illuminator. Number of recharge: more than 500. Max luminous power: 2500 Lumen. The Maxi 30 is designed to give the maximum brightness in video shooting but also a tremendous help for the photos in large galleries. Its 30° spot is a perfect complement to diffused light provided from conventional Maxi Illuminator. 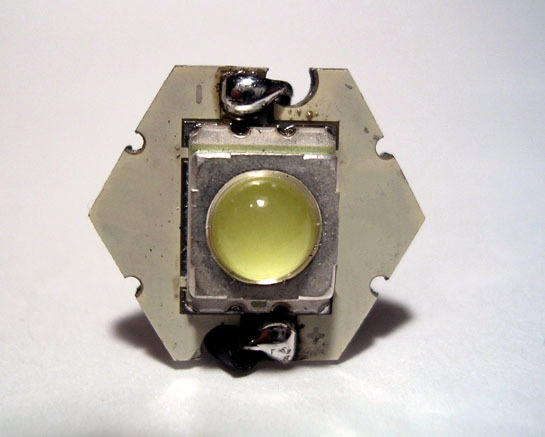 - New Superled matrix with a light output of 2500 lumens . - Additional optics that increases the depth of illumination with a light beam of 30°. - Internal Li-Ion rechargeable battery pack with the slot for external charger. - Complete with battery charger, 110/220 Volt adapter and 12 Volt car adapter. 1- All lighting devices, spare lights included, have to be tested at home before excursion. 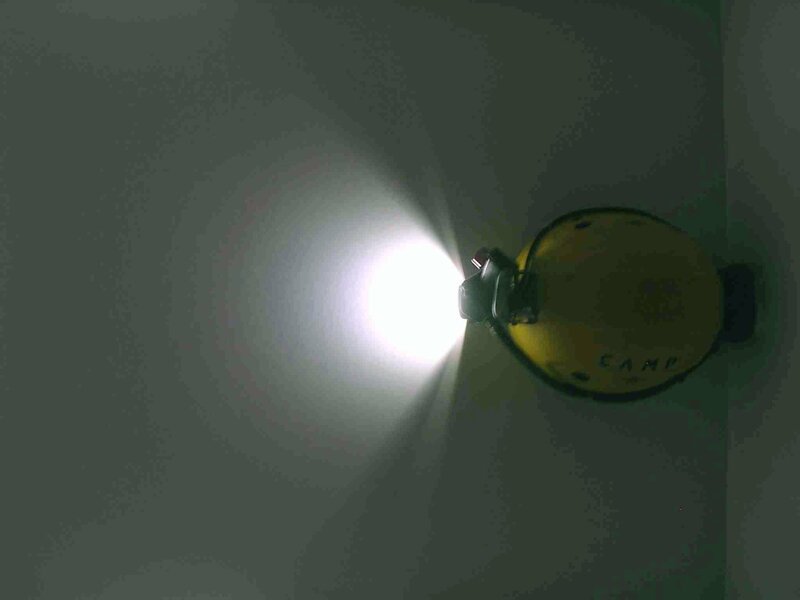 2- In the cave always take a second illumination source like a small led headlamp. 3- Keep spare batteries in a sealed case. 4- Change batteries in a safe and dry place. In this way batteries and other parts will not be lost or damaged by umidity and mud. 5- The helmet, without acetylene tube, is no longer "secured" and can be lost. Keep the helmet belt always fasten.